Eilene does not like mushrooms. 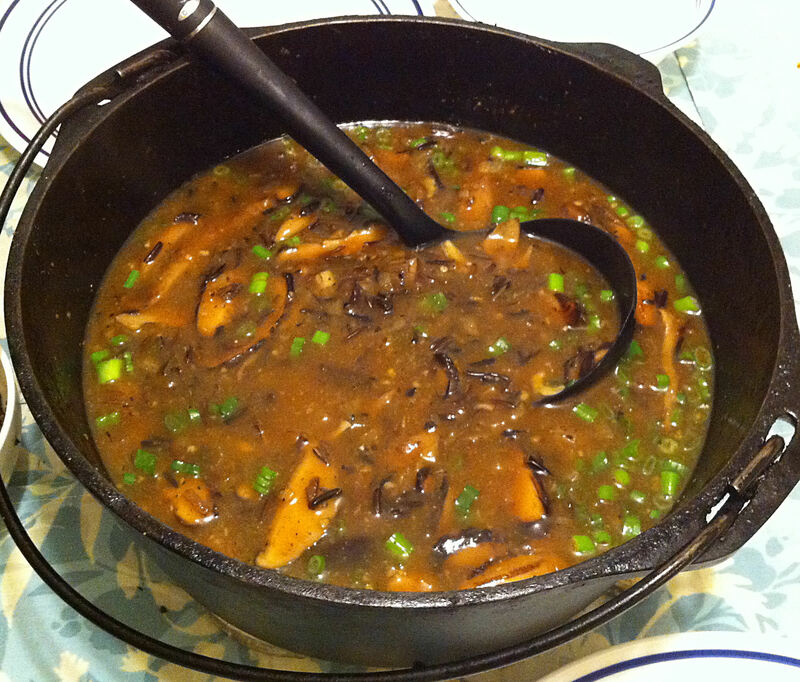 I usually make a separate dish with the mushrooms for everybody else. Today, I am making a slow roasted pork shoulder and thought a mushroom stir-fry with beech and oyster mushrooms would be nice. Eilene is at a party on a Saturday night and that means that Jan and I can have an ingredient that she doesn’t like, mushrooms. 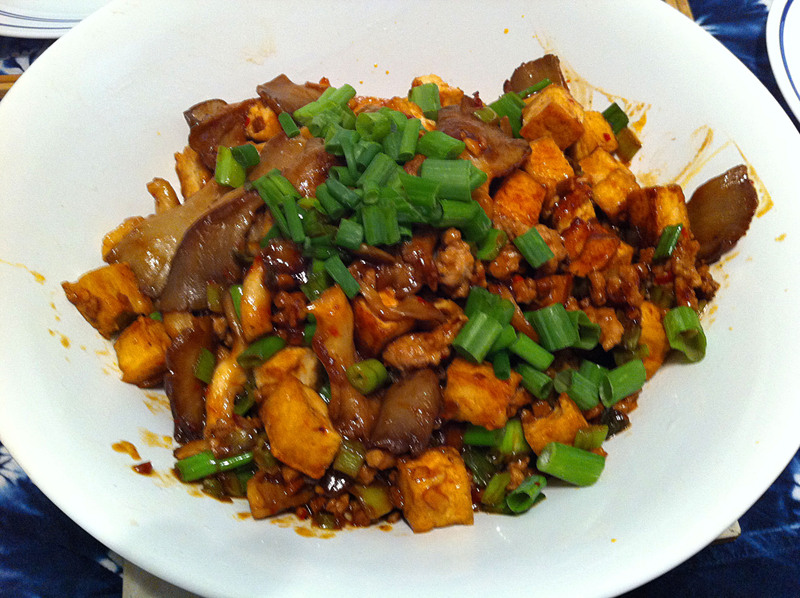 Chicken and mushrooms, a Chinese restaurant standard, came to mind. 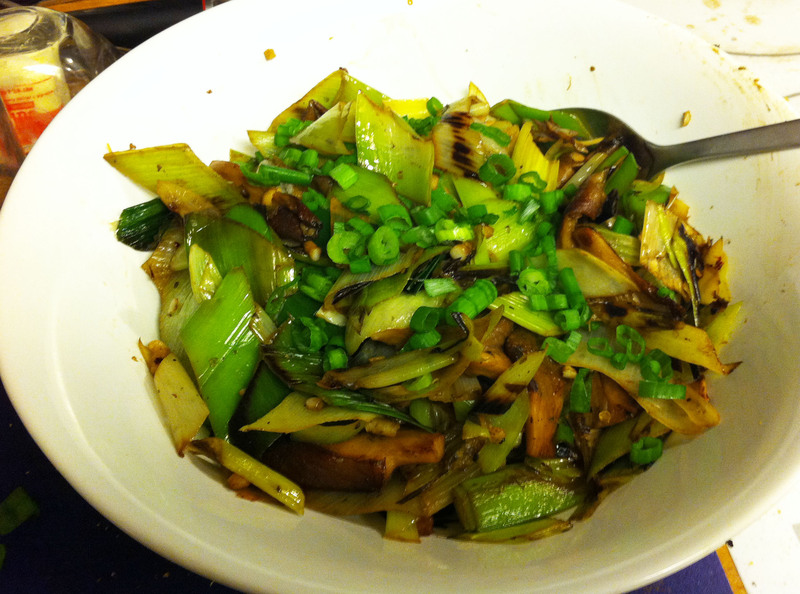 To go with this main dish, I chose Chinese broccoli as the vegetable, but what was to be my starch? 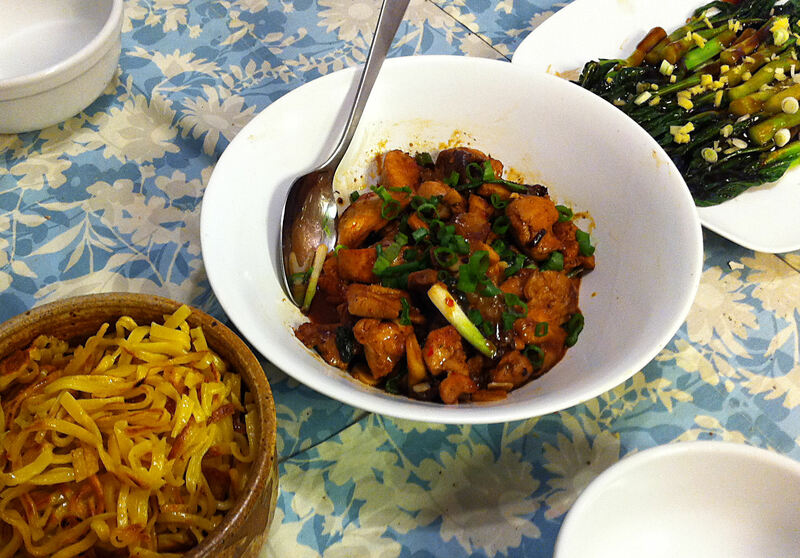 The standard Chinese accompaniment to these dishes would be steamed white rice. However, Jan loves pan fried noodles, so that is where I went. Form a mundane Saturday night meal this had turned into restaurant quality fare. I needed a hot vegetable dish that I could prep ahead and then quickly cook at the last minute. 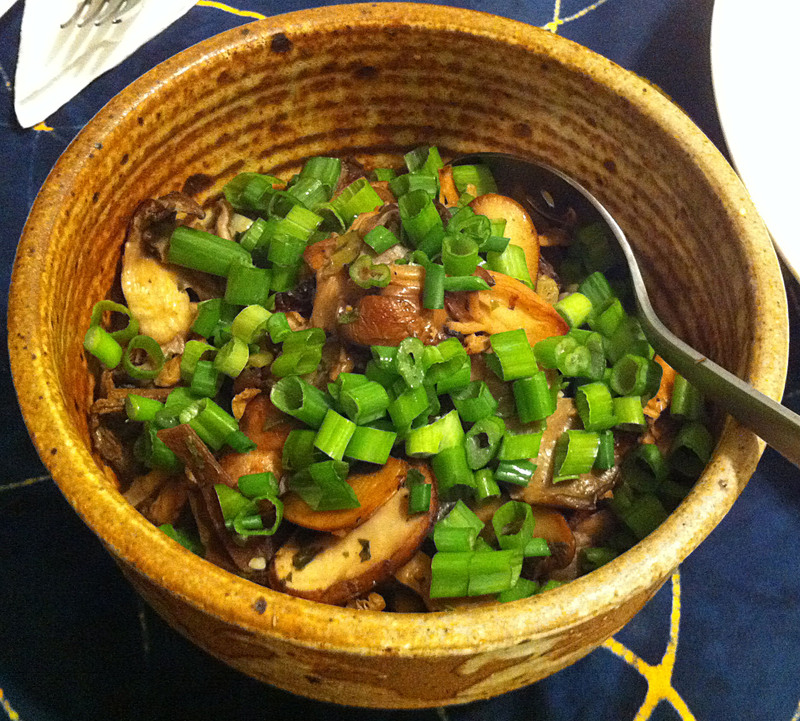 I had bought a leek that I did not use this week and I thought that would go nicely with oyster mushrooms (a favorite of Miriam and Chris). I would be cutting the leeks hours before I was intending to cook them. To keep them from drying out, I would keep them in cool water. To dry them out before sautéing, I would use the Salad Spinner that Miriam gave me for my birthday last year.